Barramundi has a soft medium to firm, delicate taste and when fresh has a sweet, fresh sea smell. Bought either whole or in fillet pieces, its mild oil flavour and white colour is pefect for BBQ or grilling. Barramundi has a reputation for muddyness in flavour, though with developed farming and catch methods this shouldn't be present in fresh fish. Large flakes and medium to firm flesh make it an ideal fish for grilling or barbequeing. Moisture can be retained by steaming with asian flavours or wrapping in paper or foil to cook 'en papilotte' in an oven or on a grill. Barramundi is an Aboriginal word meaning 'Large Scales'. It is one of Australia's most sought after recreational fish and also has an important commercial fishery. Wild caught fish from the tropical north (mainly NT and QLD) are taken by gillnet and handline between February and October, with seasonal closures to the fisheries differing by state. Barramundi are farmed in both land based fresh water systems and in sea cages. 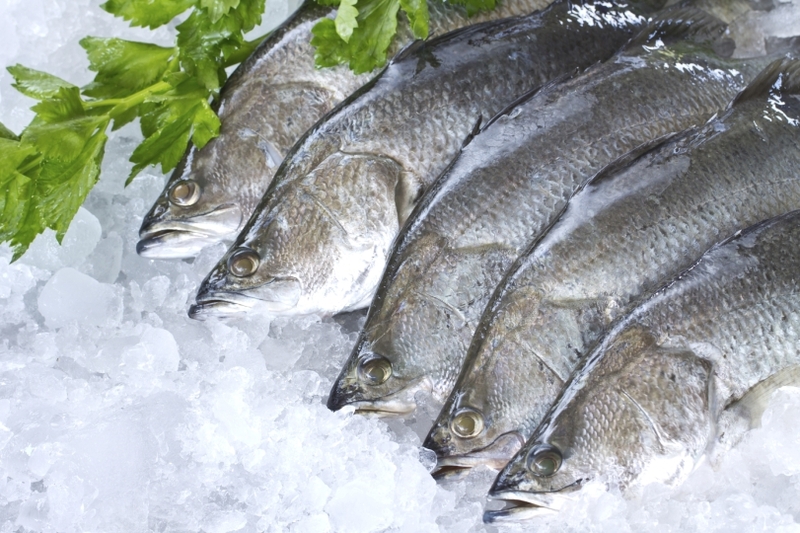 Farmed Barramundi are usually marketed as 'Baby' or 'Plate sized', at about 30cm and under 2kg. Barramundi is also imported from Asia, usually filleted and frozen. A similar fish, Nile Perch, is imported from Africa. It cannot be legally sold as Barramundi, though mislabelling does occur.